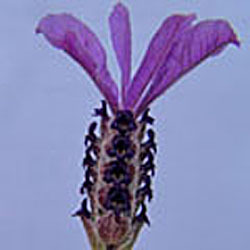 This is a relatively new cultivar of Spanish lavender introduced from England. A bit taller and more upright than most Spanish lavenders. The top bracts are bright purple and showy.